Fall in love with Africa on a tailor-made journey with Explorer. We’ve carefully curated a collection of destinations and experiences defined by abundant wildlife, awe-inspiring landscapes, colourful cultures and life-changing opportunities. From your first glimpse of Table Mountain rising over Cape Town, to the thrill of an open vehicle game drive, Africa will move you and leave you changed. At Explorer, we put Africa in your hands. You design your dream holiday; we make it happen. From showstopper safari destinations such as the Kruger National Park and the Okavango Delta, and famous landmarks like the dunes of Sossusvlei and the magnificent Victoria Falls; to once-in-a-lifetime experiences such as meeting the Maasai in Kenya or witnessing the Great Migration… we invite you to go all-in. To live and breathe Africa, authentically. We support the TreadRight Foundation, and are committed to making travel matter by supporting people, wildlife and the planet for generations to come. As such, we encourage responsible tourism which safeguards the places and communities we visit. Explorer Safaris is a division of Grosvenor Tours, a leader in private, tailor-made travel. 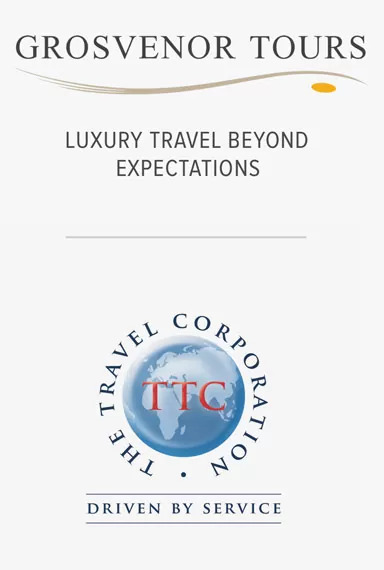 We are proudly part of Cullinan Holdings, a member of The Travel Corporation, a global family of travel brands. Leveraging over 60 years of experience in luxury travel, we specialise in bespoke Africa safaris. Wake up and smell the coffee! Take a coffee tasting tour of Cape Town and discover the choicest brews in and around the Mother City. Over 1,000 Runner Ducks at the Vergenoegd farm assist in the control of the snail and pest population in the vineyards. Intrigued guests can take a tour of the duck pens or simply cheer on the happy workforce as they set off for their day in the vineyards. Thanks to its gently breaking, sand-bottomed waves, Muizenberg is Cape Town’s favourite learn-to-surf beach destination. Plus, it’s home to Waves for Change, a local NGO that provides surf therapy to vulnerable children from unstable communities. Learning to surf here is not only fun, but it’s also potentially life-changing. Nelson Mandela was imprisoned on Robben Island for 27 years. See this legendary destination through the eyes of Madiba’s prison guard, Christo Brand on a private tour of the island. Discover the ultimate bush bedroom. The luxury treehouses at Lion Sands and Kapama are irresistably romantic. Count the shooting stars before drifting off to sleep beneath the Milky Way. Boschendal’s culinary focus is on contemporary farm-to-table dining using the finest local, seasonal and ethically-sourced ingredients. Expect a menu featuring fermented breads, slow-roasted brisket sourced from the farm’s herd of Angus cattle, house-smoked trout and more. Bring the whole family to Madikwe for an unforgettable malaria-free family safari. The absence of malaria in the reserve makes it the perfect destination for families with younger children. Love & luxury; sweet honeymoon dreams are made of these. An African journey designed with lovers in mind; embark on a luxury honeymoon that takes in Cape Town, the Kruger Park, and Victoria Falls. Escape the daily grind; unwind body and mind. A soulful journey designed to inspire wellness and enable mindfulness. Spend 8 days exploring Kenya, from bustling Nairobi to the Masai Mara. A classic Southern African trilogy. This 10-day luxury safari blends culture, cuisine and wildlife with a touch of adventure. Experience a classic; head to east Africa on a safari that takes in the best wildlife destinations in Tanzania and Kenya. Gorillas in the mist in Volcanoes National Park. Experience the cloud forests of Rwanda on a transformative 5-day luxury adventure. Carefully crafted cuisine and curated experiences. This delicious 10-day trip through Cape Town, the Cape Winelands and the Kruger Park will delight your appetite. South Africa is a world in one country. Beaches, bushveld, mountains, semi-deserts, high rise cities, and sprawling neighbourhoods… Mzansi (as the locals call it) has something for everyone. You can go from a Big Five safari to seaside cocktails within just a few hours; from a traditional meal at a local shebeen to shopping on the high street in only a matter of minutes. Consistently voted as one of the top destinations around the world, South Africa is home to three tourism juggernauts: Cape Town, the country’s Mother City melting pot and wine capital nestled in the shadow of Table Mountain; the Garden Route, a road-trip stretch of forested coastline; and the Kruger National Park, the gem in South Africa’s wildlife crown. In between these popular destinations is a patchwork of lesser-known treasures. Explore the unspoiled Whale Coast, experience the wild Eastern Cape and discover the quirky heart of the country in the semi-desert flatlands of the Karoo. And then there are the people. Archbishop Desmond Tutu was spot on when he nicknamed South Africa “the Rainbow Nation.” Indeed, it is a colourful country of diversity and contrast – in its cultures, landscapes, and languages. A visit here would not be complete without delving into South Africa’s history. Whether it’s a private tour of Robben Island or a Cape Malay food safari, you’ll discover that despite its heart-wrenching past, South Africa’s pride and positivity are forces of nature. Most visitors arrive during summer (November to March) when the weather ranges from warm to hot. The ideal season for wildlife viewing is between May and September when the weather is dry, and there’s a higher likelihood of seeing big game. Travellers the world over consistently vote Cape Town as one of the globe’s top travel destinations, and with good reason. South Africa’s Mother City is a hotspot of culture, colour, cuisine, and wine. And all of this set at the foot of the iconic Table Mountain. Cape Town’s abundant offerings are encircled by some of the most breathtaking scenery you could imagine. Here, fynbos-covered mountains meet not one, but two oceans in a clash of dramatic beauty while sun-ripened vineyards stretch as far as the eye can see. In the city itself, cafes and trendy eateries line the streets between boutiques, curio shops, and galleries. Then there are the beaches. Along the Atlantic Seaboard, powder-white shores attract sun worshippers and people-watchers in droves, while the warmer Indian Ocean waters of False Bay are the preferred choice for families, surfers and swimmers. Naturally, Table Mountain takes centre stage, flanked by Lion’s Head and Devil’s Peak. You can’t come to Cape Town without visiting the summit of this flat-topped icon, whether by cable car or following one of the many hiking trails. The Western Cape enjoys a Mediterranean climate. Most visitors holiday in Cape Town during the warm and dry summer months, with December to April a particularly busy season for travel. Winter, especially during July and August, is cold and wet. The Kruger National Park takes centre stage as South Africa’s most famous and best-loved wildlife destination. With animals in the hundreds of thousands, from the Big Five to over 600 bird species, reptiles and even fish, a Kruger safari should be on everybody’s travel bucket list. There’s something for every kind of traveller on a Kruger safari, whether it’s your first time or you’re a return visitor. Choose from luxury tented camps in private concessions or stylish safari lodges in adjacent reserves. In the park itself, the popular southern region is famous for its large rhino and lion populations. Central Kruger is the most game-rich area, abundant in plains game like giraffe and wildebeest. Naturally, these bring with them a healthy predator population. To the south, the Sabi Sands Private Game Reserve shares a fence-free border with the Kruger. This park is famous for its variety of luxury lodge-style safari accommodation. With a year-round sunny climate, you can enjoy a Kruger safari any time of the year. Popular activities include guided game drives and bush walks. No matter how you choose to experience the Kruger, it’s a destination you’ll want to return to again and again. Summer and winter offer different Kruger safari experiences. The dry winter season between May and October is best for game-viewing. November through February, known as the “Green Season,” is the hottest and wettest time of the year. As a result, this is the best time to visit the Kruger for bird watching. However, the humid summer climate doesn’t suit everyone. A Kenya safari promises the thrill of the wild against a backdrop of savannah plains, acacia forests, and the snow-capped peak of Tanzania’s Mt Kilimanjaro. Then there’s the Masai Mara and its annual showstopping wildlife spectacle, the Great Migration. Add on the Great Rift Valley and Indian Ocean coastline, and Kenya is a country that indeed has it all. Kenya’s legendary national parks and game reserves, from the Masai Mara National Reserve to the Lake Nakuru National Park, boast almost guaranteed sightings of Africa’s Big 5 (lion, leopard, rhino, buffalo and elephant). Expect generous sightings of large herds of antelope and hundreds of colourful birds. Don’t be surprised, however, if the tall and dignified red-robed Maasai steal the show. These semi-nomadic people are one of the world’s last great warrior cultures and an enduring symbol of traditional Kenyan culture. And when you’ve had your fill of the wild, there are miles of white sandy beaches inviting you to go diving, snorkelling, windsurfing, or just to put your feet up, kick back and adjust your body clock to Kenya time. Game viewing is at its best during the dry seasons (May to September, and January through February). The safari high season runs from July through November, when the annual wildebeest migration is in full swing. If you’re a birder, visit Kenya between October and April when the migrant species have arrived. On a Botswana safari, bigger really is better. The elephants are super-sized, the landscapes vast, and the magnitude of the experiences beyond measure. Home to the Okavango Delta and Chobe National Park, Botswana truly is one of the greatest safari destinations in Africa. The Okavango Delta defines the country’s landscape, cutting through the stark red hues of the Kalahari Desert in a flood of emerald green. During the seasonal rains, the Delta becomes a lush animal habitat. Here, you can explore meandering channels and papyrus-fringed islands by mokoro (a traditional dugout canoe). However, horseback rides, speedboat trips, and guided island walks are available too, and no less exciting! Expect to see an abundance of birdlife, hippos, and crocodiles. And don’t miss the sunsets. Bookend your days with sunset cocktails and marvel at the colours of the Delta as it turns molten gold. On dry land, Chobe National Park is famous for its herds of elephant and buffalo. During the winter months, the animals converge on the Chobe River. As a result, wildlife sightings are particularly rewarding at this time. Furthermore, on a Botswana safari, you can enjoy almost guaranteed encounters with Africa’s star players: the Big Five. With its wealth of world-class accommodation, Botswana is renowned as one of Africa’s top luxury travel destinations. Sumptuous safari lodges and intimate tented camps give you a front-row seat to the fabulous wildlife spectacles. With unlimited elbow room and the wildlife pretty much all to yourself, you can expect an utterly exclusive safari experience, unmatched anywhere else in Africa. In Botswana as in most African safari destinations, animals will converge at water sources during the dry season to slake their thirst. As a result, Botswana game viewing at the Okavango Delta and in the reserves of Chobe and Moremi is at its peak between May and October. Explorer is the inbound division of Grosvenor Tours, part of Cullinan Holdings, a member of The Travel Corporation family of brands. We are the industry leaders in private, tailor-made luxury travel, leveraging over 60 years of experience in creating bespoke safaris in Africa. We’ve personally experienced each destination and luxury safari lodge to ensure we offer only top quality, exclusive & authentic African encounters. At Explorer, we strive to deliver authentic African experiences without compromising on comfort. With over 60 years of experience in luxury travel, you can trust us to ensure your tailor-made African safari is unforgettable.